“Medical cannabis improves many conditions, especially chronic pain, anxiety and insomnia without the harmful or mind fogging side effects of pharmaceuticals” says Joe Dolce, co-founder of Medical Cannabis Mentor and author of Brave New Weed. The MBody360 team and I are thrilled to partner closely with Medical Cannabis Mentor to provide access to what we consider to be the highest quality online education platform in the industry, led by two experts Joe and co-founder Dr. Junella Chin, DO who has treated over 10,000 patients in California and New York with medical cannabis. 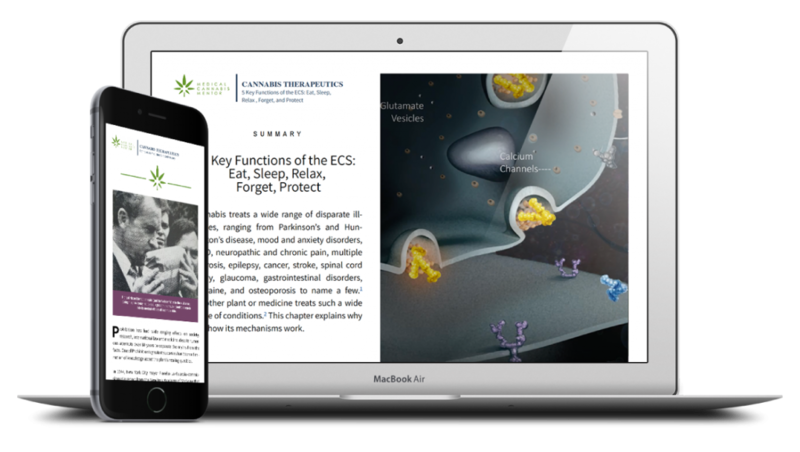 Medical Cannabis Mentor’s training and library of educational materials are based on Dr. Chin’s experience plus over 23,000 published scientific studies plus hundreds of hours of interviews with the finest researchers and clinicians working today. Medical Cannabis Mentor offers the most up-to-date scientific research and guidelines in clear and engaging formats to help individuals and professionals make informed treatment decisions. Professionals in functional medicine, lifestyle medicine, integrative health and wellness, as well a more traditional physicians, nurses and specialists are becoming increasingly interested in including medical cannabis in their treatment options..
Add to the above the complexity of the plant and its current legal status which can make cannabis hard to obtain for patients. But the world is marching towards legalization, and it’s time to start paying attention. Cannabis is currently available for “adult use” in Canada plus California, Colorado, Oregon and Washington states. It’s legal for medical use (sometime severely limited) in 32 states and counting. At MBODY360 we see the promise of cannabis to be an important part of some patients journey to health, and believe that within five years it will be a routine part of every integrative health practitioners toolkit. But even if/when cannabis is legalized federally, there is still a lack of training and empirical data to help practitioners incorporate cannabis into their treatment protocols. We recognize that MBODY360 has a critical role to play in gather that data within the a holistic lifestyle treatment protocol – the efficacy of cannabis cannot be separated from the impact of food, supplements, mindfulness, movement and sleep hygiene – and we are excited to add cannabis tracking to our platform’s capabilities. We are equally excited to partner with Medical Cannabis Mentor to provide a great training resource for practitioners and dispensaries. And Medical Cannabis Mentor is making their Relief Without the High patient course materials available as “ready-to-use” patient facing cannabis information and treatment protocols within MBODY360. The MBODY360 Cannabis Tracking Feature is in Beta. If you are using cannabis with your clients and patients, let us know. We welcome your testing and feedback on our Beta. Welcome to a world made better by a more enlightened way to begin including medical cannabis in the healing process, and to do so with the best information and insights available, and a means to help manage its use and effects using a proven mobile and online coaching platform.